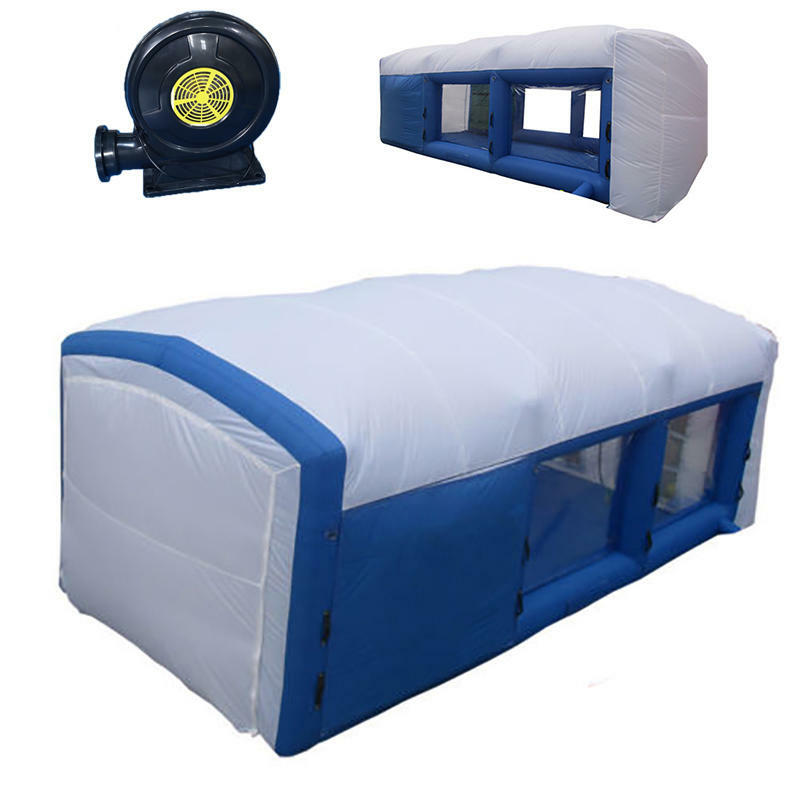 For just US$1,663.42 , buy 8x4x3M Mobile Portable Giant Inflatable Car Paint Spray Booth Custom Tent Cabin W/ 220V Air Blower with high quality and fast shipping worldwide. Hnjoytoys designs and manufactures inflatable paint booth with patent for the automotive and industry sector, they are designed to make body repairs in an environment similar to traditional spray booth, it especially protects the environment against damage related to the paint and solvent emissions. — Grow your business: If you&apos;re looking to add a revenue stream, a portable booth gives you the room to grow. You can even start a business from scratch without the requirement to lease a large space. — Low maintenance: If you follow teardown instructions, you automatically maintain your booth properly, improving its lifespan and keeping it running at peak performance. — Sets up quickly: How much time you need for setup varies widely (again, these booths vary in size from tabletop to big enough for an airplane). In every case, though, setup is simple and intuitive. — Have More Control: No more worrying about nearby cars or buildings getting covered in overspray. Drastically reduce the amount of materials used painting outdoors.